At one in the afternoon, my phone wrang and it was a friend inviting me to join her in visiting the Occupy Vancouver kitchen. She was heading downtown to make a food donation and thought that I would be interested in meeting some of the people who work in the kitchen. I had not yet visited Tent City and decided to join her and see it for myself. The adjacent street of the Vancouver Art Gallery was lined with media and film crews waiting for action and interviewing people walking by. We walked through a path of blue coloured tents to the west side of the Vancouver Art Gallery where the Occupy kitchen tent stands. In the kitchen we were warmly greeted by Mya who was busy prepping a cashew cream and tofu dish for dinner. Mya is a mental health worker who works in the downtown eastside and is also an active animal rights advocate. 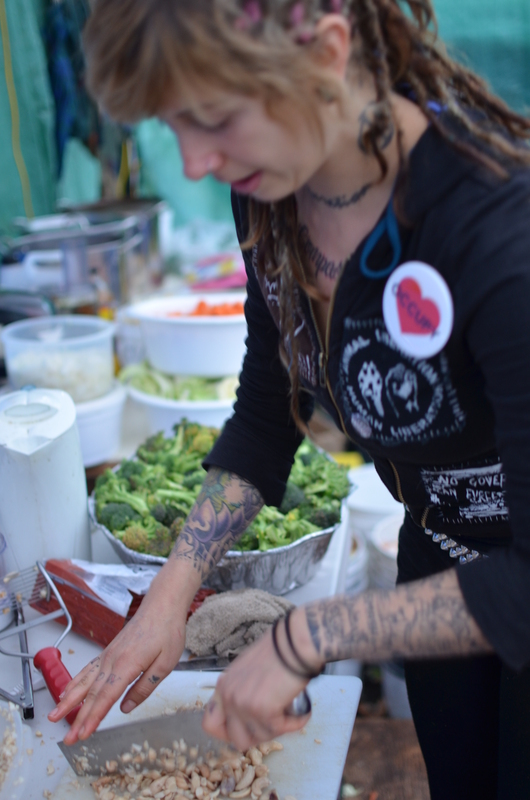 She tells us that the Occupy Kitchen is totally vegan and operates on the principles of Food Not Bombs. The Food Not Bombs movement serves free vegan and vegetarian food in 60 countries around the world. Food Not Bombs acquires food from distributer’s and grocery stores that can not be sold and would normally end up in landfills. Food Not Bombs redirects that food and turns it into healthy vegan and vegetarian meals and serves it to anyone who is hungry. 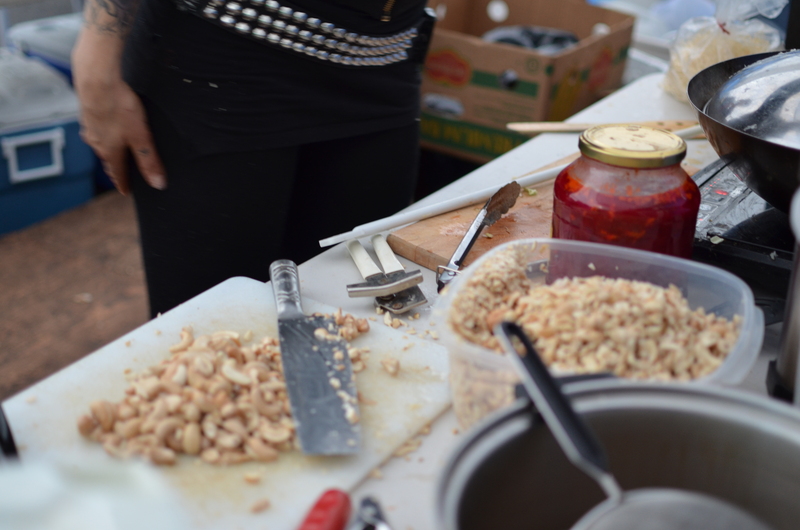 Some of the food in the Occupy kitchen is donated by individuals from the community who support the Occupy message. According to Mya, many people have come to share their stories and show their support by making food donations. Outside the Occupy tent stands a Kitchen Wish List board with requests of food and kitchen items. The occupy kitchen serves 2,000 meals a day to occupiers, the homeless and people who visit Occupy and end up staying for a meal. Among them is the business community who have gotten drift of the good food and stop by on their lunch breaks. The Occupiers rave about the food and many say that it’s the best food they’ve eaten in their lives. The most interesting statistic that I learnt while writing this story, is that the average North American wastes 240 lbs of food per year at the consumer level. That is 20 lbs per month per person and for a household of three like mine, that amounts to a shocking 60 lbs per month. Before visiting Tent City I was indifferent about the Occupy movement. After speaking with Mya who shed some light on the hunger issues in the world, I now understand the Occupier’s motivations. At the very least I will be more conscious of my food waste and free up some of the resources in the world. 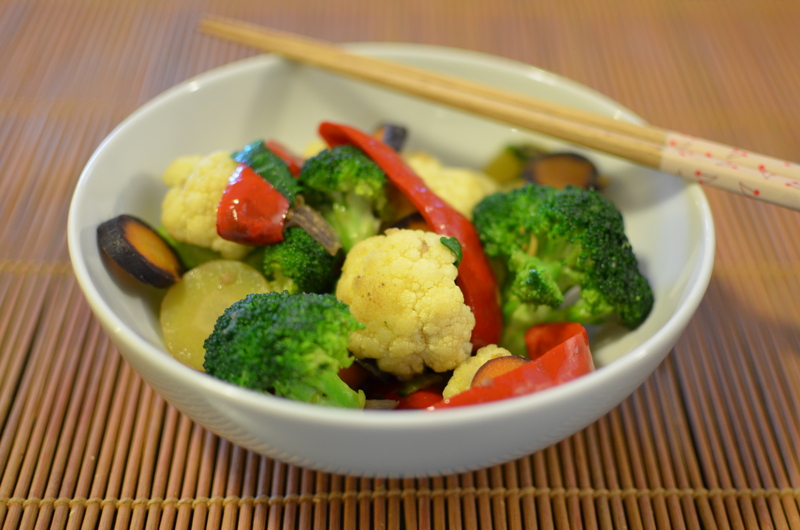 A quick way to cook up miss matched veggies that are on their last legs, is in a stir fry. The foundation of my stir fry is onions, garlic, ginger, Bragg liquid soy seasoning, sesame oil and chili sauce. You can add any left over veggies and experiment with unassuming ingredients. I once went to a friend’s house whose roommate offered me a stir fry which had lettuce and veggie hot dogs in it which actually tasted pretty good. 1. 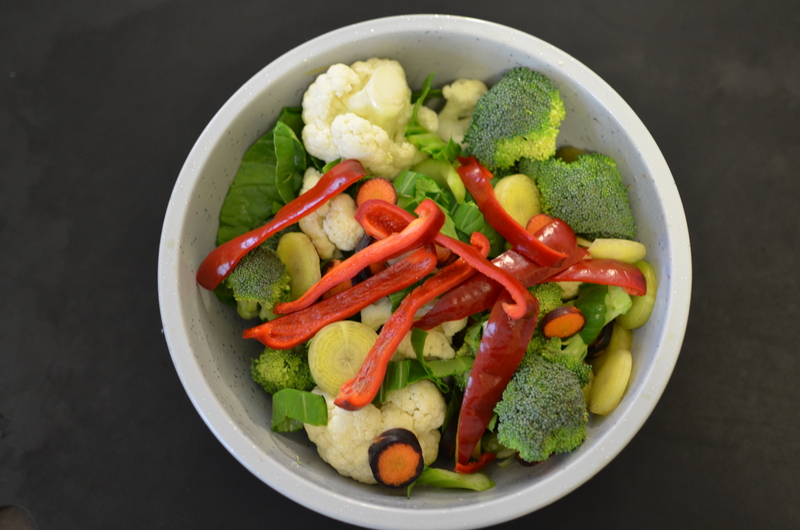 Prep the vegetables and place in a colander. 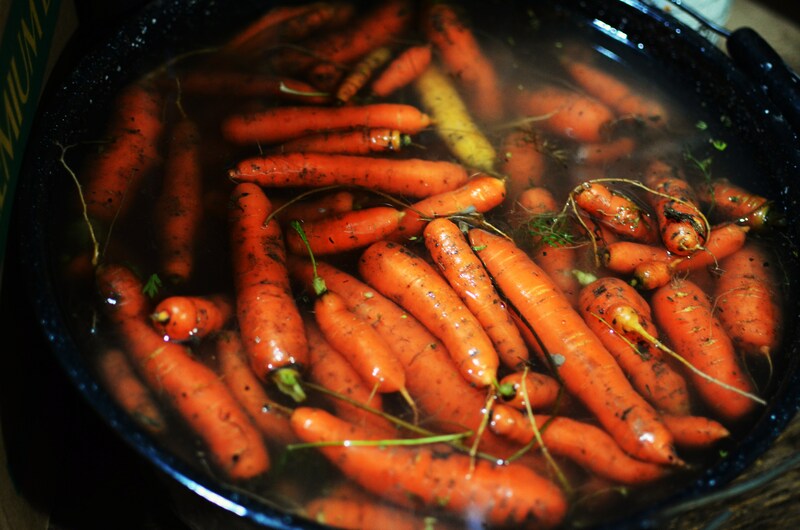 When rinsing the veggies, leave behind extra water which when cooked will steam the veggies. Transfer the veggies into a medium-sized mixing bowl and set aside. 2. Mince the garlic, ginger and slice the red onions and set aside. 3. Heat a large saucepan on medium heat and add 1 tbsp on olive oil. 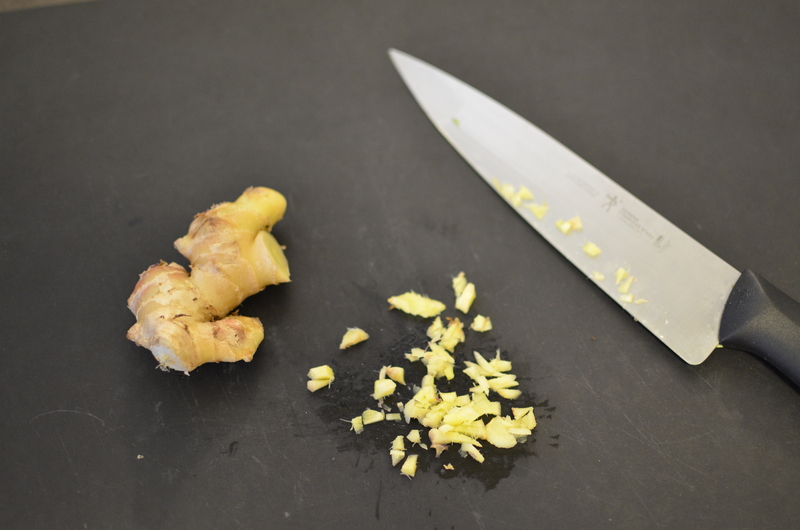 When the oil is hot, add the garlic and ginger and saute until light golden, about 30 seconds. 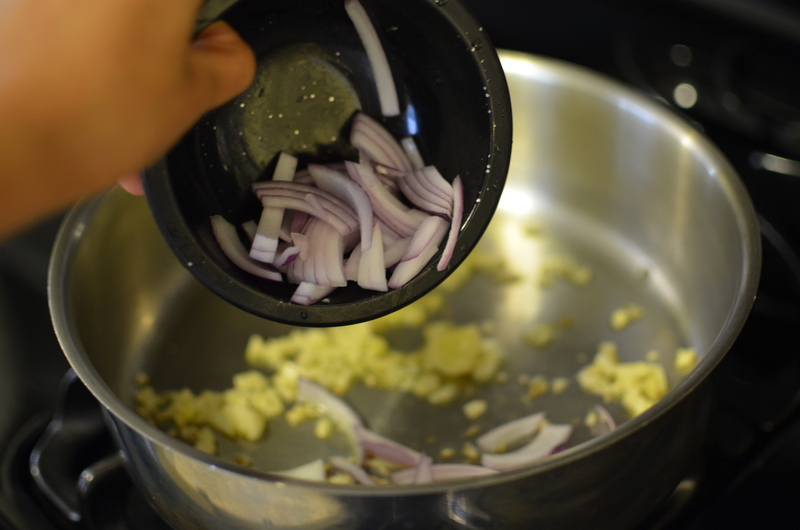 Add the sliced red onions saute for another minute or until the onions start to slightly golden. 4. Add the veggies into the saucepan and cook uncovered. 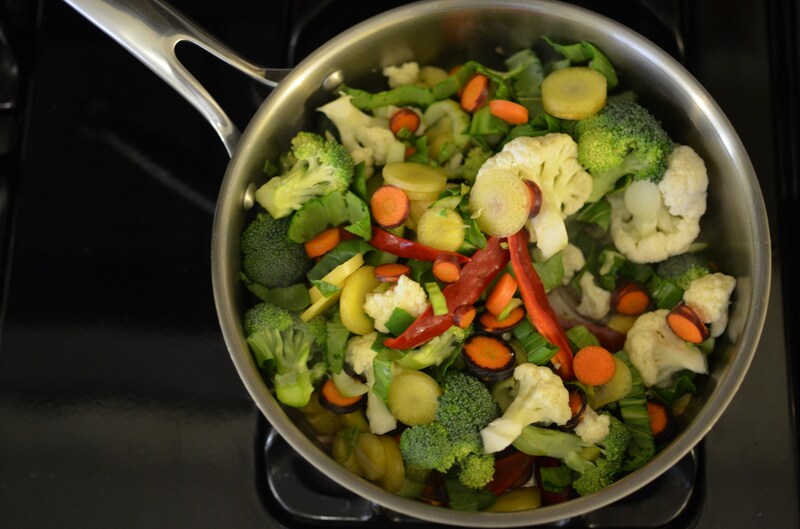 If the veggies start to dry up before they are ready, you can add 1 tbsp of olive oil. If that is not enough moisture, you can add a few tablespoons of boiling water as well. Add the water to the bottom of the pot so that the water turns into steam. This will keep the vegetables crunchy. 5. The veggies are ready when the vegetables begin to soften but are still crunchy. This takes anywhere from 7-10 minutes depending on the size of your veggies. A minute before the veggies are ready, add the salt, Bragg liquid soy seasoning and sesame oil, chilli sauce and stir. Serve with rice, quinoa or noodles. Very interesting and informative article , Lily! Lily this is a great blog! Not only do you give us great ways to prepare food, you are also educating us! I did not know of the Food not bombs movement. I love it! At last people are actually using those still good but not so fresh veggies that would end up in the dumpster… and turning out great healthy food for the hungry! The vegan revolution is tasty! 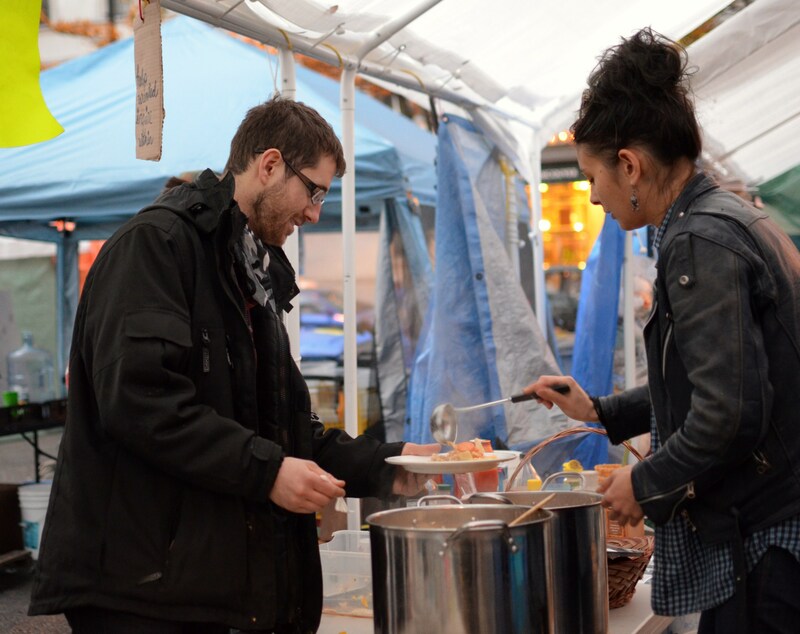 Great blog post, and appropriate praise for the fine work of activists like Mya and others in the Occupy Vancouver Food Not Bombs kitchen! For more info about FNB, visit http://www.foodnotbombs.net and be part of the change. What a GREAT story to go with the recipe! You are currently reading Occupy Stir Fry at Coriander Kitchen.